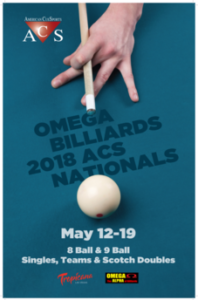 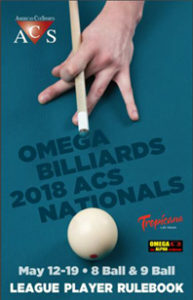 We have a printable flyer for the 2018 ACS Florida State Championships available to download and print. 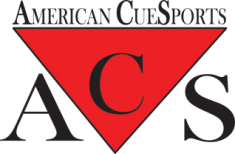 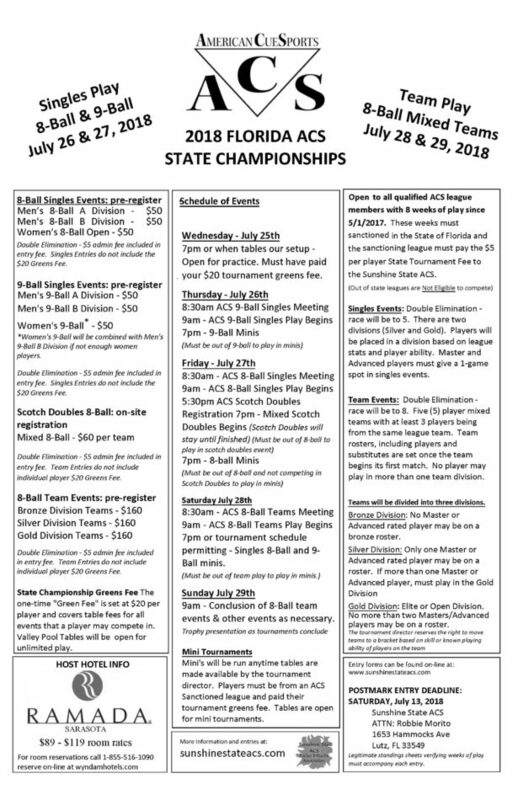 ACS leagues in Florida are encouraged to distribute this flyer to all their players. 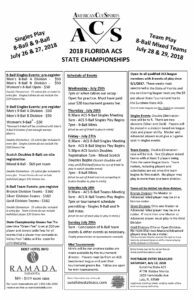 Download your printable version of the 2018 ACS Florida State Championships Flyer.